In early May I participated in four two-hour training sessions with staff and sales promoters from Everrich Duty Free shops, at Kaohsiung Airport, Taipei Downtown Store, Neihu and Taoyuan Airport. The Tamboerskloof Syrah, the award winning wine from Kleinood Estate in Stellenbosch is finally to be found in the duty free shops at Dubai Airport. 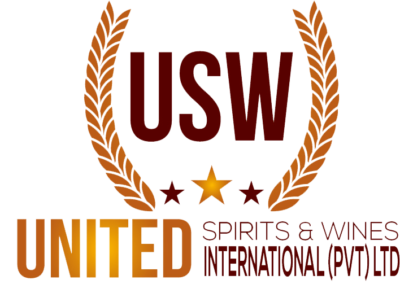 2017 was a great year for the Diverse Flavours South African wine portfolio in Indonesia, with all brands making good progress, with increased listings and sales. During the month of January, Sakuramasamune premium sake brands were tasted and displayed at Haneda International airport in a promotion supported by the Japanese Government to raise awareness and appreciation for Japanese Sake. 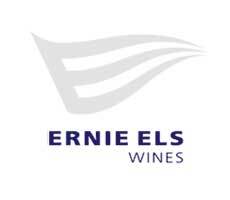 29 Made for Chicken is a Pinotage with a bold flavour and notes of plums and red berries. 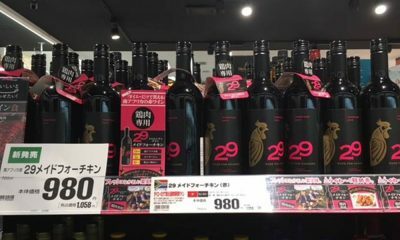 It was launched in over 180 Daiei supermarket stores across Japan in late March 2017. The first wine and chocolate pairing in Duty Free? 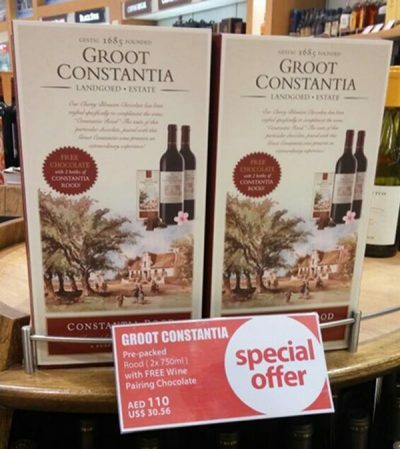 Free chocolate with with 2 bottles of Constantia Rood!